Getting into the end on 2016, Chelsea looking more comfortable at the top of English Premier League as Antonio Conte’s men can’t seem to stop their winning run. 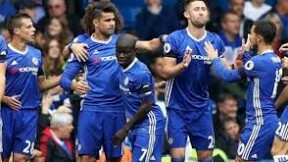 The Blues picked up their 11th straight league victory this weekend as they defeated struggling Crystal Palace 1-0 at Selhust Park, thanks to a goal from Diego Costa. It was another tight margin victory for Chelsea, something to be expected as they were playing against a home side that are in need for points. The game was tight indeed since kick off with Palace putting a solid defensive display which frustrated Conte’s men, before Costa eventually found the break through just before half time break. Things got more exciting after the break with both sides putting more aggressive display, especially the home team as they were chasing the game. Fortunately for Chelsea that single goal from Costa was more than enough to seal all three points, maintaining their table topping seat in current Premier League standings. 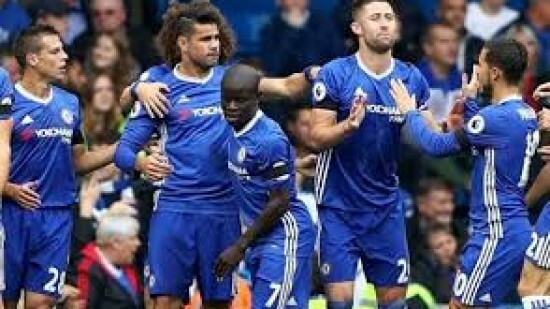 It was not all calm and joy though for the Blues after another three points as their star striker, Costa will be absent from their next league fixture after picking up his fifth yellow card this season in that game against Palace. That situation means that the Spanish international won’t be available for selection when Conte’s men host Bournemouth at Stamford Bridge on December 26.